Give your skin an after shave pampering with Bombay Shaving Company' s alcohol-free, anti-irritant Post-Shave Balm that cools and soothes skin on contact. Enriched with vitamin E and papaya extracts, it sinks in rehydrate your skin and restore vital oils lost during the shaving process. Aloe-vera and lemon extracts remove erase any redness or sensitivity. Our signature fragrance lingers, leaving your senses pleasantly refreshed. Discover a whole new world of shaving with Bombay Shaving Company' s range of premium grooming products. How to Use - After shaving, give your face a refreshing splash with cold water and pat dry. 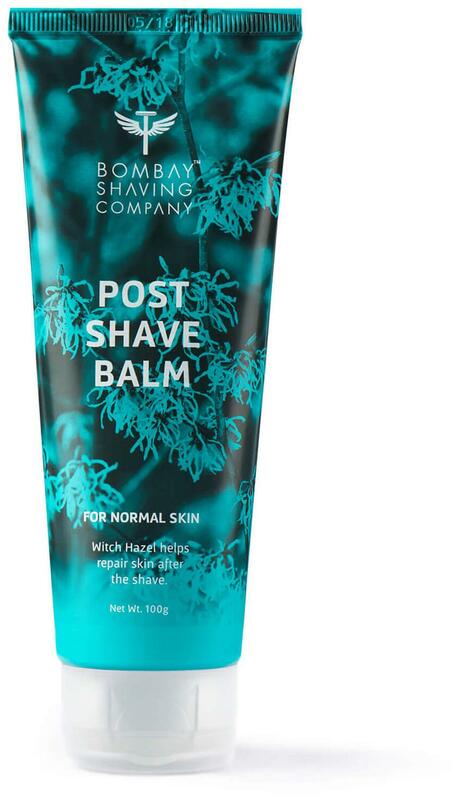 Take two button-sized dollops of post-shave balm in your palm. Apply it to the area you have just shaved, and gently rub till it sinks in.